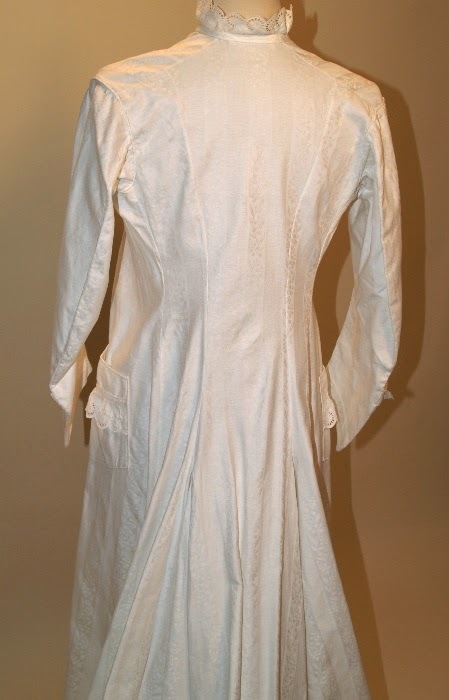 1870's / 80's vintage white cotton jacquard combing coat/gown. Lovely stripe with alternating pebble texture and marvelous lily of the valley vine pattern. Fitted with princess seaming through bodice. Bustle back and train. 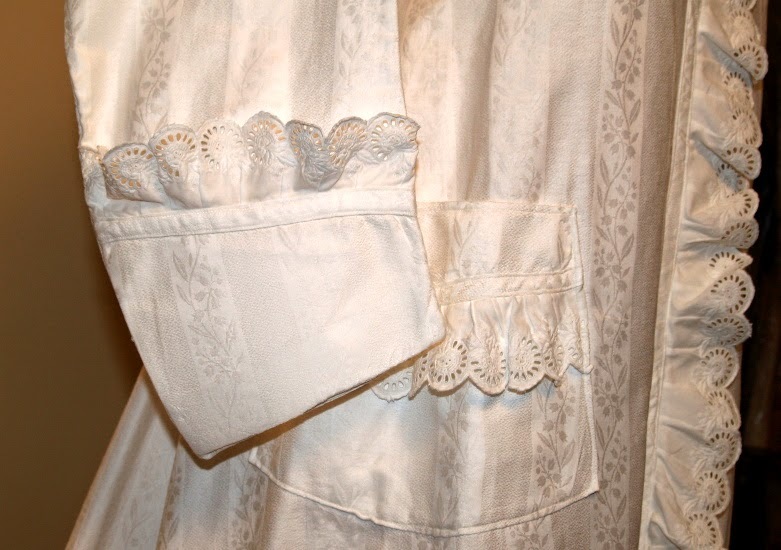 Trimmed with lavishly hand embroidered ruffled whitework eyelet (broderie anglaise). 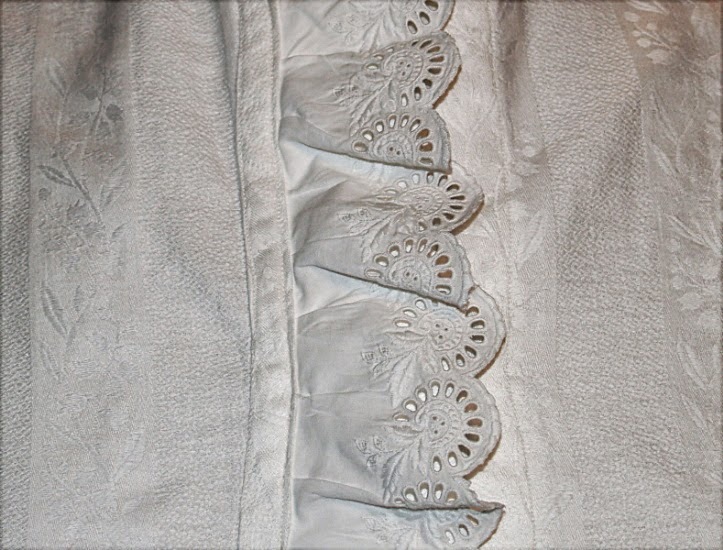 Eyelet is applied with bias self binding. 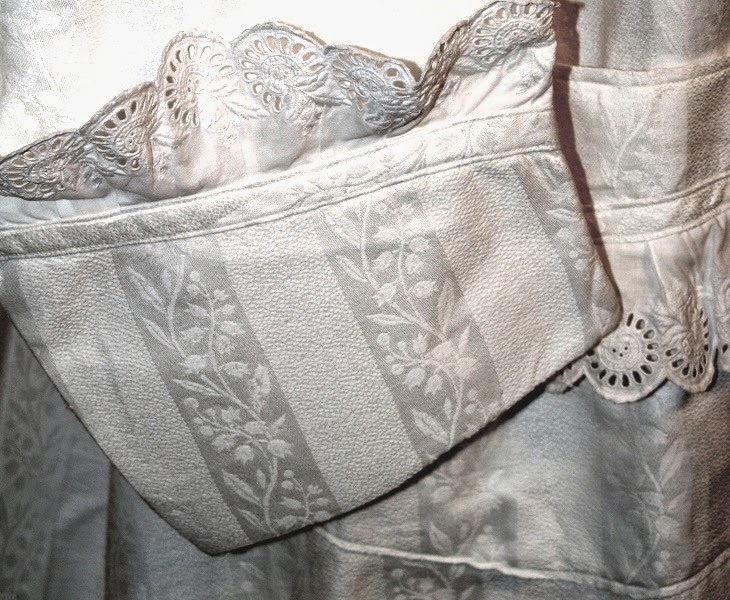 Two patch pockets at hip. Applied angled cuffs. Buttons front closure with self covered buttons (7) and button tabs. “L. M. F. THOMPSON” written in front left facing. All original late 1800’s vintage, NOT a reproduction. 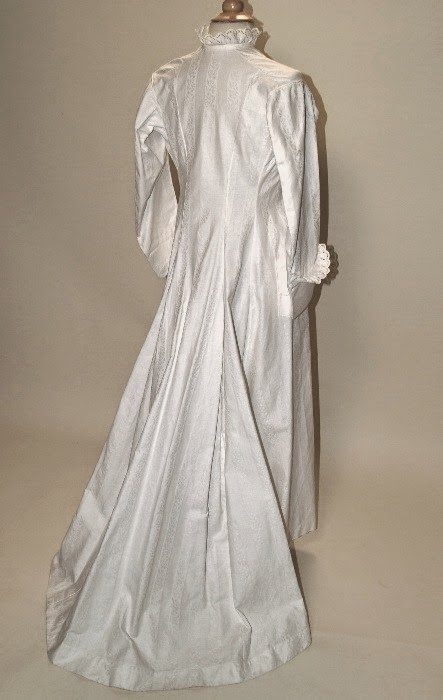 EXQUISITE by any measure, but especially in this fine condition! Spectacular! Truly fine condition. Slight general soil and three tiny spots. Comes from smoke free environment. 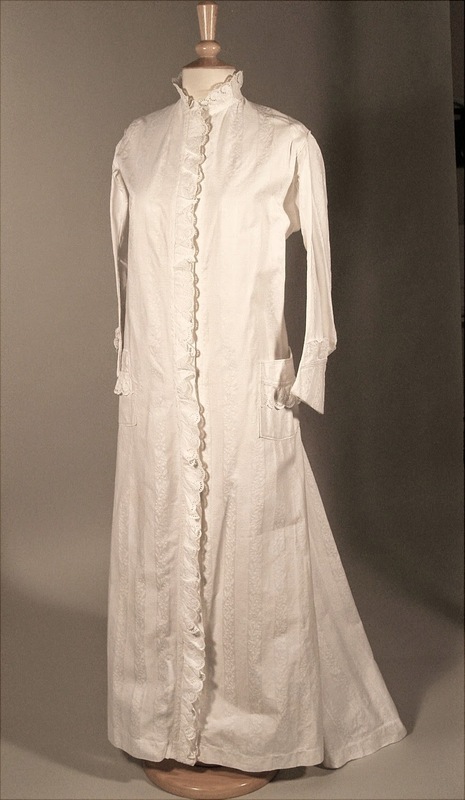 The high neck and shape of the sleeves means it's probably 1880's.